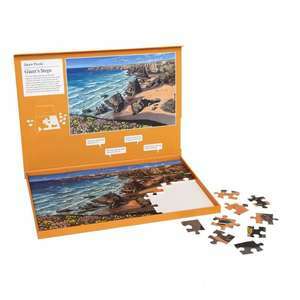 Our Jigsaw Puzzle 63 Piece Burano Island is a fantastic resource for people in early stages of dementia or Alzheimer’s. The number of pieces and age-appropriate image makes the 63 Piece Burano Island Jigsaw Puzzle challenging but much more achievable than traditional jigsaws. 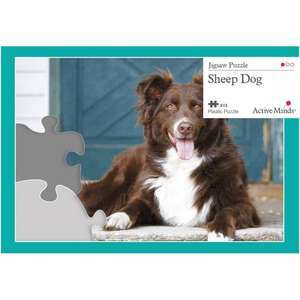 All our puzzles are made from plastic making them easy to clean and very durable, suitable for use at home as well as in a hospital or care home. Burano island is a beautiful image from Active Minds’ 63 piece jigsaw range. Created especially for people living with dementia, the puzzle shows the delightful island of Burano which is a small boat journey from Venice. To see Jigsaw Puzzle 63 Piece Burano island for yourself, please watch the video below. Please note this video features the Giant's Steps version, which is identical apart from in the puzzle image itself.